The Maple IDE project team is pleased to announce the release of the standalone version of the Maple programming toolkit. 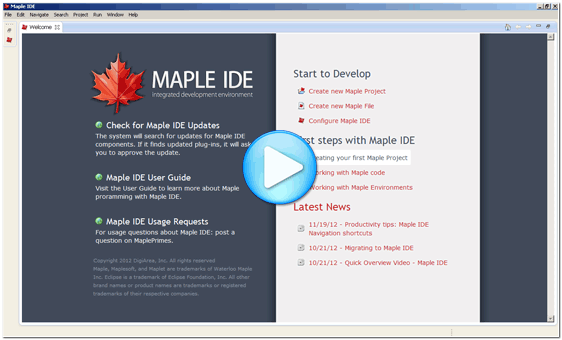 Now Maple IDE is available for Windows, Unix and Mac OS as standalone tool. For the information about new versions, please see Maple IDE page.